In collaboration with the team at Ribble Valley Jazz & Blues Festival, the University of Central Lancashire are running a five day programme of performances, jam sessions and talks on improvisation. Running between 25th March to April 1st, it acts as a fringe programme leading up to the main Ribble Valley Jazz & Blues Festival which takes place a month later. There will be two seminar/discussion events - one focused on Django Rheinhardt as the first non-American jazz artist and an artistic symposium featuring a number of keynote speakers as they discuss music and freedom. There are a number of opportunities to hear the students and staff of the BA music course at UCLAN as they run a showcase of performances as well as a jam. On April 1st to close the festival there will be a performance featuring not one but three well known acts. 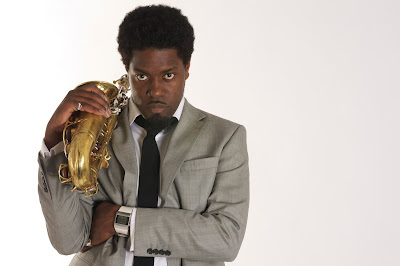 Audiences will be treated to performances by Soweto Kinch, Nerija and Atomic Brass.